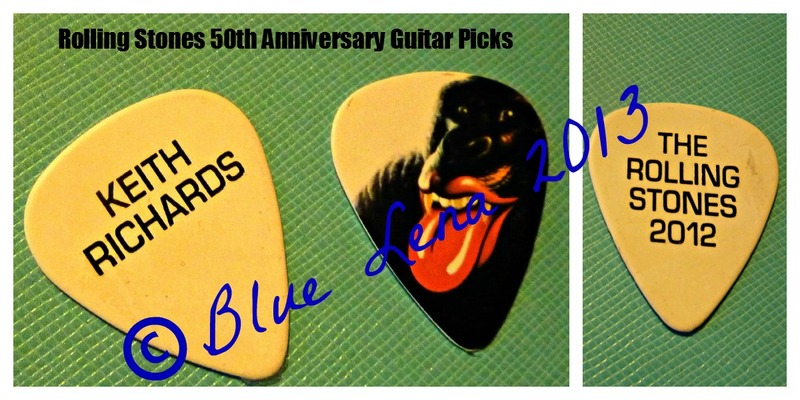 MERRY CHRISTMAS & HAPPY NEW YEAR from Blue Lena & The Keith Shrine. Apologies for the lack of updates on the web page, but once again I reiterate that frequent updates go out on the Keith Shrine on Facebook & The Keith Shrine on Twitter . This website is labor intensive and costly & I may be taking it down in 2014. Rolling Stones Announce 2014 Asia-Pacific Tour! Keith appeared at the Crossroads Guitar Fest last night at MSG, playing Key to the Highway and Sweet Little Rock n Roller with Eric. Check You Tube for more videos. Keith on Jimmy Fallon April 8, parts 2 & 3 of interview can be found on You Tube. The Rolling Stones have announced a new tour for 2013, with dates (multiple show in some cities) starting on the west coast in early May. Check the Official Page for all dates and ticket sale info. Presales began April 5 for Citibank card holders and regular on sales for select shows start Monday April 8th. See you in Philly! Check your local listings because Keith will be on Jimmy Fallon on Monday night April 8th! January 19, 2013 I was lucky enough to be able to attend the two Newark, NJ Rolling Stones 50th Anniversary shows at the Prudential Center back on December 13 & 15, 2012. Forgive me in my tardiness in reporting back...but these days all my updates seem to go to Facebook & Twitter (@TheKeithShrine) and if you don't use social media and only check this website I do apologize! On December 13, the show was brilliant, but I have to say I was astounded at how far away my seats were from the action given the $300 price tag (which last tour put me on the floor by the main stage). The seats were dead center at the back of the arena & would have been decent had there still been a B Stage. I do realize I am terribly spoiled when it comes to Stones seats, considering my "worst" seats last tour were 20th row on the floor. The main highlight for me from Thursday night was hearing "Around & Around" for the first time ever, which was the web vote song, and had indeed been my vote, so that was nice. The boys were in fine form, and it was great to finally see Mick Taylor on stage again during Midnight Rambler. On Saturday December 15, I expected to have a seat on the side of the stage or behind the Tongue Pit, and much to my utter surprise my ticket was in the Tongue Pit! I really did not know this until 7pm the evening of the show and it made my evening go so much better from the start. I was able to score Hospitality passes for myself and my friends once again and so we took advantage of the free libations before heading to the floor. Saturday was a live Pay per View TV event and so a lot of fans chose to stand at the back of the pit to I assume maximize their chances to be on TV. I decided the front rail was too close, since I probably couldn't see Charlie, so I stood about 5 people back from Keith's microphone, which for me worked out well. Mick was amazing, and Ronnie was playing better than ever, Keith was semi-subdued, but concentrating on playing well and play well he did. The band was clearly having fun and Keith flashed many a smile. I had a blast in the pit, and my arm was sore from twirling my red scarf with white skulls (the only way I was able to pick myself out on the PPV). Although I was skeptical of all the special guests that night I ended up enjoying all of them, even Lady Gaga. Bruce looked like a kid in a candy store, the smile never left his face and he had that "Holy crap I'm on stage with the Stones!" look the whole way through Tumbling Dice. I was surprised when Gary Clark Jr. stepped on stage with John Mayer, as he had been unannounced for that evening, and is one of my fave new blues players. The band's energy was fierce and I was so glad they once again proved that they are the World's Greatest Rock n' Roll Band, even as Mick & Keith fast approach their 70's (and Charlie has reached it). I was wowed. There were no great surprises in the setlist, I'm gonna say "The Last Time", "Who Do You Love" & "Dead Flowers" were stand outs. 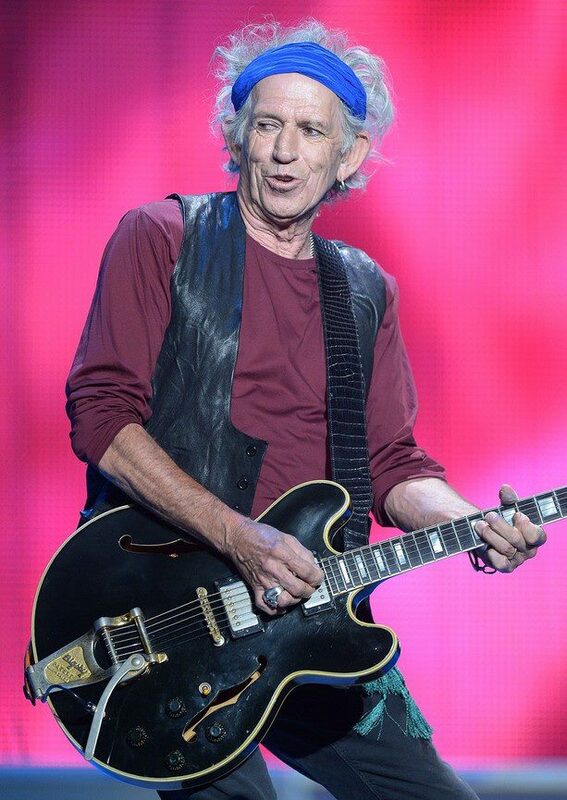 So not that we are into February of 2013 rumors abound that the Stones will indeed be touring again, and that dates may be planned for the USA as early as June or July of this summer. Nothing official from the band as of yet, so we shall wait and see. I just hope the ticket prices comes down, I am still paying off those two shows!